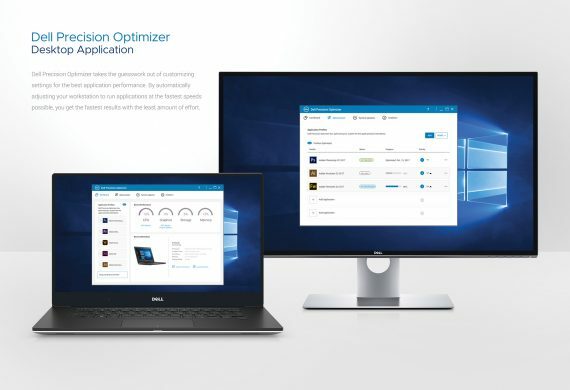 Dell Precision Optimizer was developed for designers, media creators, engineers, architects, scientists, financial analysts, and other workstation users who want increased efficiency and system optimization—quite literally, to make daily work activities more efficient. These users typically use resource-heavy applications, such AutoCAD, Catia, Maya, Adobe Creative Suite of products, and many others, and can benefit from the Artificial Intelligence (AI) based performance optimization that Dell Precision Optimizer provides. The AI-based technology of Dell Precision Optimizer enables the user to dynamically improve the performance of any application. It increases productivity and helps the users get projects finished quickly which can translate to getting products to market quickly. Incredibly, performance gains can be as high as 552% over default factory settings! Now that’s optimizing!